The moon was 5 percent lit by the sun Friday evening, but the remainder of its disc was illuminated by the sun's reflection off Earth. This is my favorite look for the moon. 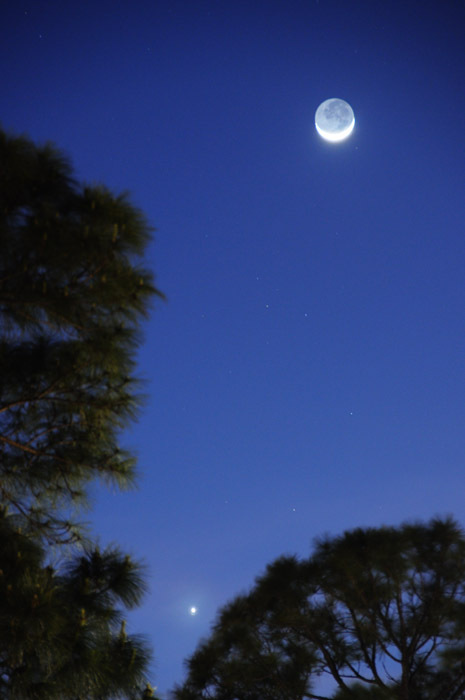 Amid assignments at work -- including this fun one -- I snapped a post-sunset shot of the moon and Venus, seen between the gap in these pine trees behind FLORIDA TODAY.